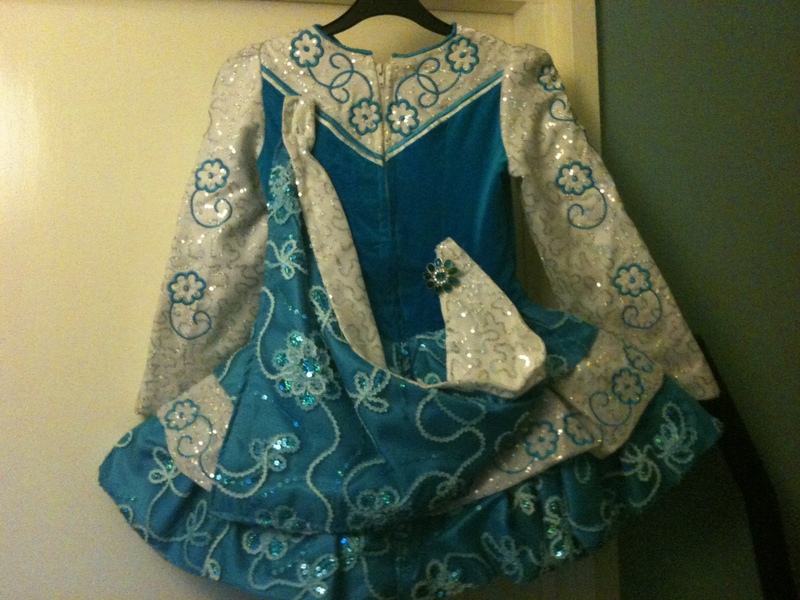 Beautiful Sue Breen dress worn by Championship dancer. 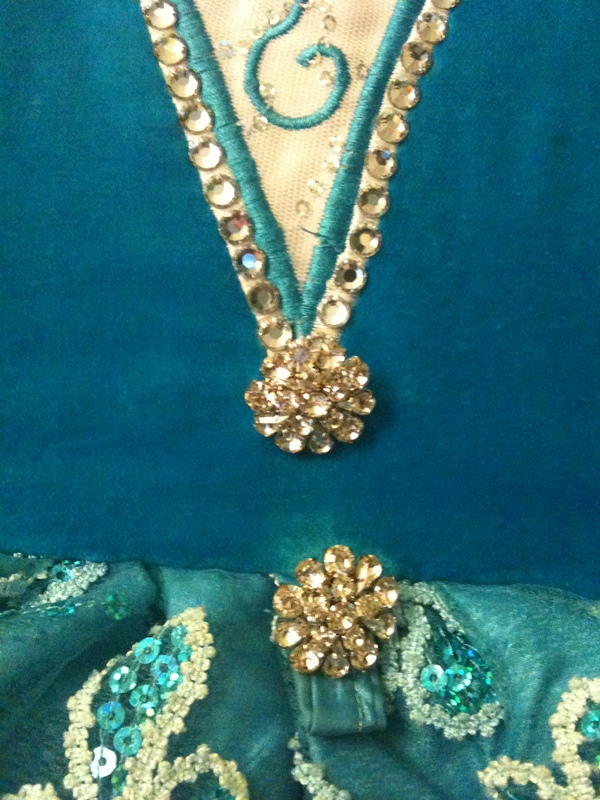 Bodice is Turquoise Blue velvet with a ‘V’ section to the waist which is white satin with a white sequin overlay. 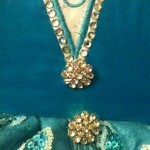 The sleeves are also white with satin overlay.The white parts of the dress are embroidered with turquoise blue flowers . 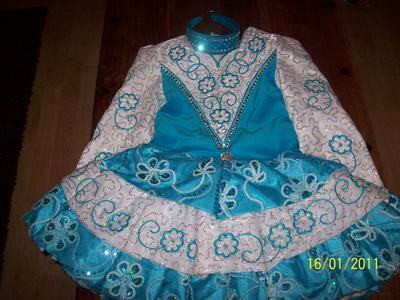 The dress has lots of Swarovski Crystals and has two crystal buttons on the bodice.The Skirt is Ra-ra style and the dress has a soft blue and white shawl, the underskirt is white.The dress is in very good condition and is available immediatley. 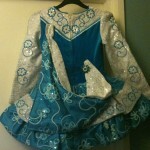 Sadly selling as daughter has outgrown, this dress is stunning on stage and has had lots of compliments. Asking Price: Â£320. Shipping costs not included. Sale is final.